(L-R) Marissa Nihill (2017-2018 VB Jaycees President), Laura Habr, and Kayte Hamilton (2017-2018 First Citizen of Virginia Beach Chairperson). Photograph by George Culver. 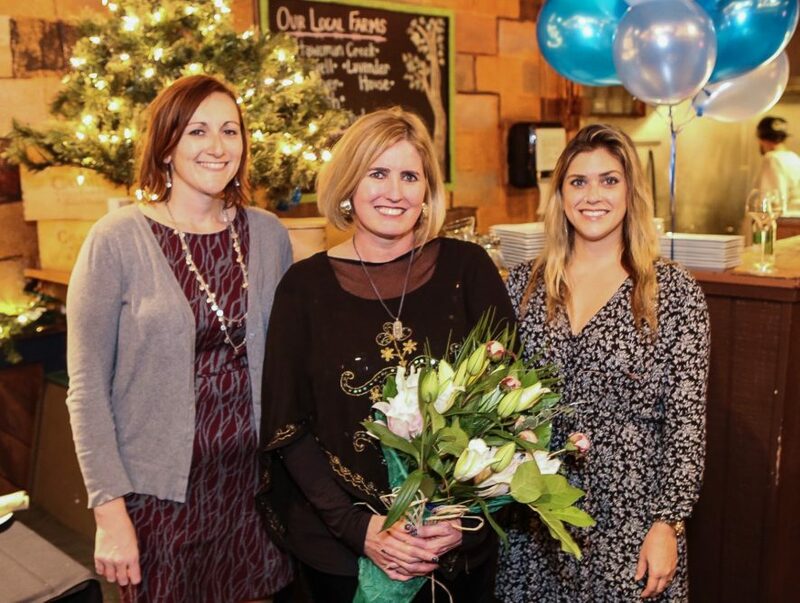 On a cold, rainy night last December a small crowd of young professionals huddled outside of Croc’s 19th Street Bistro, waiting to surprise owner Laura Wood Habr during her restaurants’ 25th Anniversary. The element of surprise is a tradition of the First Citizen of Virginia Beach Award ceremony kick-off. Inside, Habr was already surrounded by family and friends celebrating her small business’ success and was completely unaware that months earlier, a quiet campaign began to nominate her for this prestigious designation. The Virginia Beach Jaycees began in 1948 and are a young professional’s network with a rich history of local impact as community leaders credited with creating ECSC, starting the Virginia Beach Public Library system and founded the Virginia Beach Rescue Squad. Each year since 1950, the Virginia Beach Jaycees have been recognizing citizens over 40 who have made outstanding contributions to the welfare of the city with its “First Citizen” Award. Habr now joins the ranks of past Mayors, politicians and other local business owners who have been champions for growth in our own backyards. The five most recent honorees were: Morgan Davis of TowneBank (2017), Dan Ryan of Dan Ryan for Men (2016), Fred Napolitano, Sr. of Napolitano Homes (2015), Aubrey Lane State Secretary of Transportation (2014) and Ramon Breeden Jr. of The Breeden Company (2013). Habr’s nomination for First Citizen advocated for her decades-long commitment to local community grass-roots efforts, small business, environmental issues and the arts, as well as a long tenure of citizen-ed community government support. Habr serves on a number of boards and committees: Old Beach Farmers Market (co-founder); ViBe Creative District (co-founder); Green Drinks Virginia Beach (founder); Green Resort Eco-Friendly Efficient Neighborhoods Committee; Virginia Beach Restaurant Association; Chair of the Green Resort Eco-friendly Neighbors, Sub-Committee of the Resort Advisory Commission; Founding board member, Business Alliance for Protecting the Atlantic Coast; and the City of Virginia Beach Resort Area Advisory Committee. In addition, she’s a partner supporter of Virginia Green, Virginia Aquarium & Marine Science Museum, Sensible Seafood program, Buy Fresh Buy Local, Hampton Roads Pride, Virginia Arts Festival and many others. The Old Beach Farmers Market is celebrating its 12th year operating out of Croc’s 19th Street Bistro parking lot at the corner of 19th Street and Cypress Avenue. Thousands of people visit the weekly event which boasts as many as 60 small business vendors retailing seasonal fresh fruits and vegetables, meats, eggs, seafood, cheeses, a wide assortment of baked goods, artisanal breads, and savory foods from local chefs, soap, and flowers. The successful event spawned two adjacent events—the Old Beach Art Market and Old Beach Green market—providing local artisans and environmentally friendly products available to the public. From the success of the Old Beach Farmer’s Market, Habr learned that small businesses needed affordable retail options to grow their customer base and fine tune their products prior to going the traditional bricks-and-mortar route. Over the years, the market had become known as a successful incubator for artisans and small businesses alike. Habr set her vision on a broader goal to revitalize the central beach neighborhood around her. The underutilized and too long under-appreciated blocks between 17th Street and 22nd Streets had great potential to house artists, new technology, green initiatives and more. This vision connected Habr with well-respected philanthropist and commercial real estate developer Andrew Fine who had invested in properties off 264 between 21st and 22nd Street. The pair joined forces with the Virginia Beach Office of Cultural Affairs to create Virginia Beach’s first arts district – now known by ViBe. Habr worked for over two-years to build community support of an arts district and helped draft the dozen or more versions of the City ordinance to found the ViBe Creative District, making sure that a wide variety of creative industries could benefit from City incentives, including artisans, culinary arts, technology, green initiatives, film, music and more. Since the 2015 adoption of the ViBe Creative District by City of Virginia Beach Council, more than 30 small businesses have opened their doors in the district, several (North End Bag, The Stockpot and Three Ships Coffee) were incubated from the Old Beach Farmer’s Market. Habr was also among the first businesses in the arts district to employee artists to wrap their buildings in murals. Croc’s 19th Street Bistro features murals by local artists Scuba and WackoGato and has hosted numerous artist pop-up events in recent years. “Laura is a visionary leader of Virginia Beach’s first arts district and co-founder of ViBe District Virginia Beach,” said Andrew Fine. 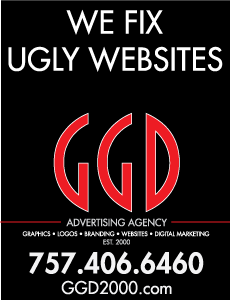 “Her determination as a small business owner is matched by a generous volunteerism. Additionally, her business is a visible community supporter of LGBT-Friendly efforts and highly inclusive for the entire Virginia Beach community.” Fine was also recognized as First Citizen in 1990. Habr was an early supporter of the Equality Virginia movement in Virginia and was the very first business to sign onto their Equality Means Business program to recognize Virginia businesses that protect their LGBT employees from discrimination and pledge to welcome LGBT customers and clients. Habr created the Drag Yourself to Brunch weekly drag show series nine years ago to show support and embrace the LGBT community. In 2016, as the first rainbow crosswalk in Virginia was painted in the intersection of 19th Street and Cypress Avenue, Habr was among the 500 participants painting the pavement with bright colors. 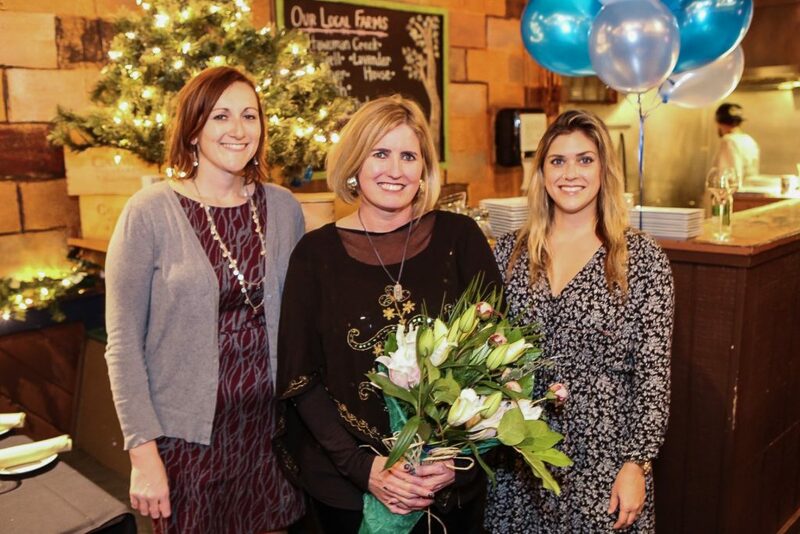 Croc’s 19th Street Bistro was honored by Hampton Roads Pride in 2017 with a Community Service Award for her efforts to help the group fundraise. “When I read the Jaycee Creed, I cannot think of a person who more closely embodies this creed than Laura Habr,” said Hampton Roads Pride President Cole Werkheiser. Karen Forget, executive director of Lynnhaven River Now agrees. While Habr is largely credited for starting many of Virginia Beach’s oceanfront green initiatives and oceanfront recycling programs through her work on the Resort Area Committee and Virginia Beach Restaurant Association Board, Habr’s work on environmental efforts reaches beyond Virginia Beach. Habr connected the Virginia Beach business community with an east coast business group working to prevent offshore drilling—the Business Alliance to Protect the Atlantic Coast. Croc’s 19th Street Business was also the first Virginia Green restaurant in 2007 with amenities including solar hot water system, rain barrel and on site garden, locally sourced ingredients, wine and spirits and an interface flooring system made from 45% recycled carpet. Habr remains committed to a S.O.L. purchasing policy of sustainable, organic and local. When asked what she wanted incorporated into her First Citizen Banquet, Habr didn’t hesitate to promote the passions she’s dedicated her life to — arts, local businesses and the environment are themes for a party planned for Monday, April 22 (Earth Day) at the Virginia Museum of Contemporary Art. Guests can expect an environmentally friendly program, made possible in part by sourcing with many local vendors for supplies and refreshments. The First Citizen Banquet is The Jaycees largest annual fundraiser, providing them the resources to give back to the local community year-round.